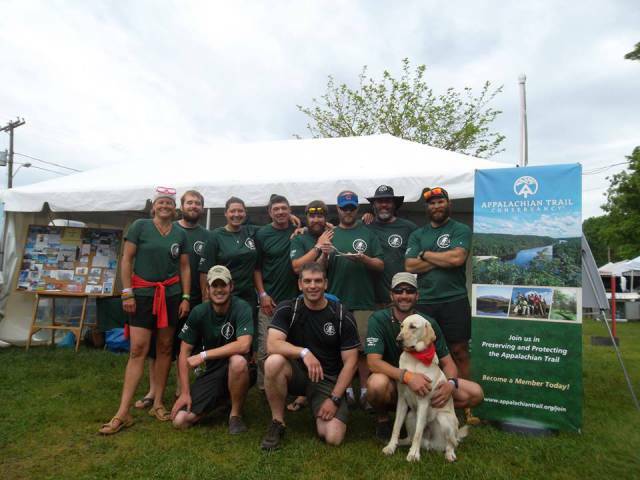 An inspiring phone interview today with Sean Gobin, the ex-U.S. Marine who started an organization called Warrior Hike and, in concert with the Appalachian Trail Conservancy, launched the Walk Off The War program. Basically, it helps American veterans of combat find themselves — physically, mentally and spiritually — by thru-hiking the trail. Gobin, who did two tours in Iraq and also served in Afghanistan, completed the hike with another vet in 2012. Fourteen people began the hike this past season, and four finished, stopping to meet with vets of recent and older wars along the way. “It’s far more gruelling,” Gobin says about the hike, “than anything you do in the military.” Still, next year, the program is going to be even bigger. “In 1948 Earl Shaffer told a friend he was going to ‘walk off the war’ to work out the sights, sounds, and losses of World War II. Four months later, Earl Shaffer became the first person to hike the entire length of the Appalachian Trail from Georgia to Maine.